One of the greatest joys in our work is discovering gems, both people and products, while we are out and about introducing folks to Reach And Teach. At this year's Bay Area Environmental Educators Resource (BAEER) Fair, we met Betty-Ann Kissilove. She had a wonderful spark of energy, I thought as I spoke to her, and she said "I've got a book I'm working on that I'd love to show you." Little did I know that her book was about another kind of spark, the one that started our universe! 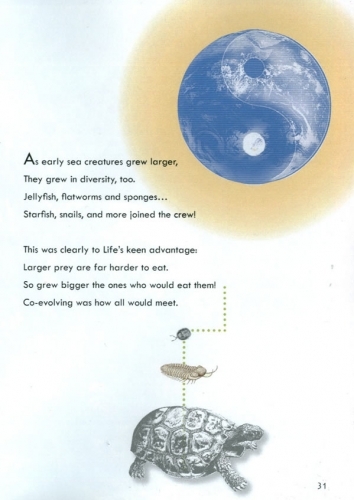 Betty-Ann had combined amazing illustrations and photographs, with beautiful poetry, and weaved in a whole bunch of science into a book that is truly hard to put down. The poetry, pictures, and story-telling will cause some to want to delve deeper into science, others to want to dig into art, still others into spirituality/faith, and hopefully most will gain a deeper love for our planet and her people and of course she leaves a little room for those who might be tempted to explore beyond this one planet.... this is the Poetic Telling of the Universe Story, after all. Carl Sagan, meet Dr. Seuss! Betty-Ann Kissilove lives in San Francisco and has taught English as a Second Language at City College of San Francisco since 1980. For the past two decades, she has been fascinated by the 13.7-billion-year Story of the Universe, which has deeply influenced her life. This fascination and her lifetime as an educator inspired her to write the epic poem Great Ball of Fire! in hopes of making the Universe Story accessible to a wider audience. 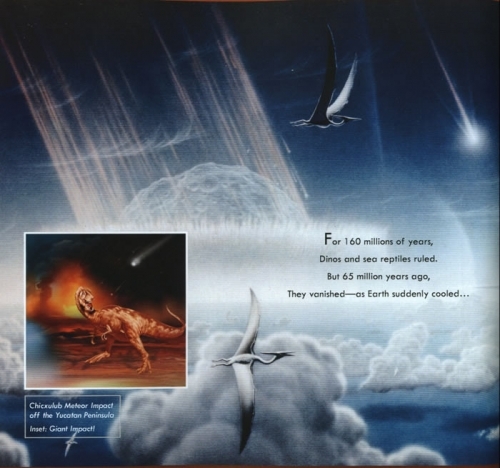 "A splendid recasting in verse of the Universe Story. What an achievement!" "I love this book! ... An invaluable aid to educators and parents, to anyone looking for a truly fresh way to engage kids--and themselves! !--in the key ideas of evolution. Prepare yourself to be delighted by this fun and informative telling of the greatest story of our time." "This poem, full of complex information simply told, will be treasured as one to read aloud and will inspire us all as we learn to change our ways." "With rhythmic cadence and imaginative language, 'Great Ball of Fire!' has given us a great gift--a new way of understanding the mystery and sacredness of life. A poetic excursion much needed for our time." "A magical blend of mainstream science and lyric wonder... playful, elegant, profound verses entertain and enlighten while inspiring us to delve ever deeper into our cosmic story." "A lovely poetic telling of the whole of cosmic evolution." "An amazing creation!!!! Captivated by the beauty of the [Universe] story... [Betty Kissilove has] crafted a wondrous story for humans of all ages. This is such an important contribution, especially in these troubled times where only such a new story can transform our horrendous wars, insatiable hungers, ambitions and misguided inventiveness. Thank you, Betty." "[This] stunning and magnificent poem brings to life a narrative of evolution from the big bang and the first living cells to human communities on the edge of the great transformation of the 21st century...A creation story for our time." 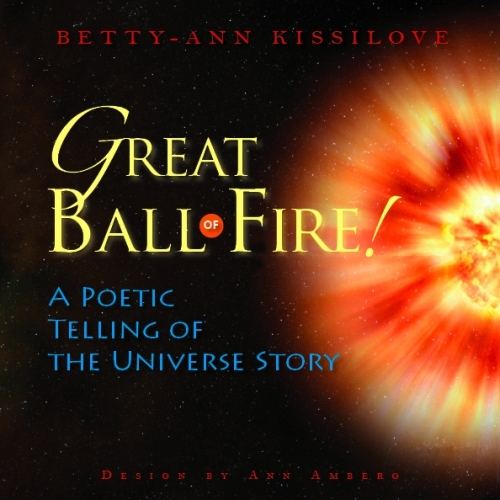 "Montessori teachers... now have a perfect complement to our Great Lesson of the Birth of the Universe in Betty Kissilove's wonderful epic, 'Great Ball of Fire!'... Enchants children and adults alike... connects each of us with our source... reminds us of our interconnectedness with everything in the Universe. Beautiful illustrations dramatically capture the spirit and message in Betty's captivating verses." "This was one of the kids' favorite assignments and really helped them to 'put it all together' in terms of what we had learned about geography, science, and history. I loved your poem and plan to use it again this year. There is so much information in there that students will be able to get something new out of it each year." 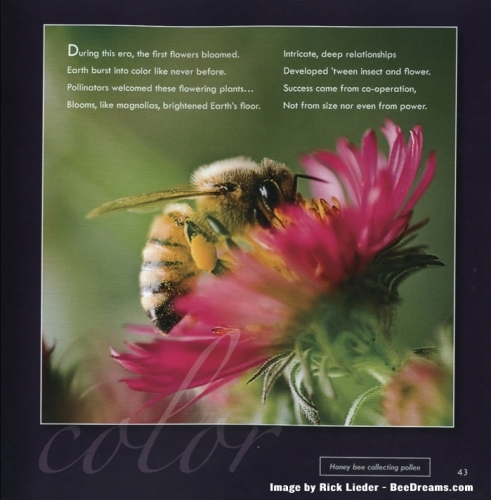 "...Just what is needed to bring the wonder of the evolutionary process alive for all of us. 'Great Ball of Fire!' is an explosion of creative energy for the future of life on our beautiful blue-green planet. A splendid contribution to the great work of our time." "A delightful amalgam of science, mythology and world religions told in verse...a compelling read, my students found the couplets positively addictive." "I loved your creation story!... [It] truly amazed me! I would highly recommend it for 6th graders and older. Bravo!" "A stupendous achievement. Gripping. A treasure for young and old alike. This brings our common story to life. We will never be the same again."